Roland San Juan: Billion Dollar Vegas Company Tied to Terrorism Organization? I must be much more fair and generous than liberals. Because I would never attack a CEO for what political causes he personally believes in. Liberals clearly don't feel that way. I remember a few years back when the CEO of Mozilla was forced by liberal activists to resign from his company because he gave a PERSONAL $1000 donation to a California PAC fighting gay marriage. This CEO didn't involve his company in politics in any way. He didn't use a dime of company money. The charity was not radical. In fact, it was so mainstream that the leftist voters California voted in favor of traditional marriage. Yet the CEO was forced out because of the controversy. Organizations tied to fundraising for Hamas and the Muslim Brotherhood. CEOs have every right to be personally involved in politics. I’d actually encourage it. We should all be personally invested in the American political system. It’s healthy. No matter how liberal or conservative they might be, it's none of our business. If the founders Ben & Jerry's Ice Cream want to be liberal personally, I don't care. I certainly don't want them to resign for expressing their free speech in America. But does a CEO of a publicly-traded company have a right to involve his or her company in controversial political statements or actions? Does a CEO have a right to involve shareholders, employees or customers in their radical politics? CEO Jim Murren of MGM Resorts International has violated the trust of his MGM Board, shareholders, employees and customers. But not in a small way. In a “Vegas bigger-than-life way." Murren is so wildly wrong, so spectacularly reckless, so disastrously offensive to his customers, I believe it’s time for a shareholder revolt. Does MGM's Board approve of their CEO using company statements and shareholder money to offend 63 million Trump voters? How about every conservative in America? How about Christian customers? Families with children? How about anyone who is not a fan of Hamas or the Muslim Brotherhood? Because I am certain millions of MGM customers will be shocked and offended when they find out who Jim Murren just tied his company to. and Chicago’s streets exploded with violence- in just the past two weekends since Charlottesville, 96 citizens were shot, 17 killed on the streets of 100% Democrat controlled Chicago. None of those incidents troubled MGM CEO Jim Murren. Only Charlottesville mattered to him. He didn’t notice any of the racism, bigotry, extremism, violence, or threats to assassinate our president coming from the left. Murren could have announced MGM donations to groups that combat terrorism; or groups that support the families of cops killed in the line of duty; or groups that support wounded warriors. And I would have applauded. Instead Murren announced MGM company (and therefore) donations to extreme leftist groups, some backed by controversial radical Marxist George Soros. The Southern Poverty Law Center (SPLC) has been accused of “character assassination” by conservatives. SPLC lists many mainstream conservative groups as "Hate Groups." I'm sure millions of MGM customers support these groups. 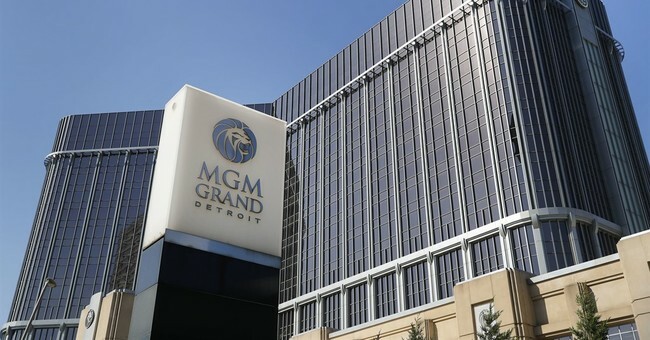 Is this a group MGM’s Board or shareholders want to be tied to? What should happen to a liberal CEO who announces sending millions of dollars of shareholder money to radical extreme leftist organizations, including organizations tied to Muslim terrorism?